I’ve often found it a shame that the popular intellectual dialogue in Chicago so often centers around “Foodie-ism.” Even so, even I have to admit that Foodie-ism does have its ultra-rare, well-thought-through moments. A few weeks ago, the sun hanging low in the early morning sky, some sweet smells were emanating from the Baker Miller storefront, wafting over the swarm of people in office clothes hurrying along the sidewalks, all pantsuits and consumerist busy-ness flooding the El station on Western Avenue. Baker Miller is housed in a refurbished flower shop, owned by husband-and-wife duo Dave and Megan Miller. In the morning, it is buzzing with patrons catching their morning coffee and pastry before heading down to the Loop for their daily bread. And they’re getting the good stuff here. As a part of the handmade movement, there’s an overlap with the “ethical consumer” ideal that has spawned such price-inflating market “grassroots” Trojan horses like Whole Foods and similar organic-alternative “farm fresh” operations. Like everything, it’s a sliver of this movement that yields the usual mixed bag of earnest ethics and disingenuous economic manipulations. More and more though, micro-producers such as Baker Miller are as much a part of that sliver as they are helping to foster a newly defining “craft kitchen” niche on the farmer’s market model that zeroes in on, and draws inspiration from, local production, earth-works and made-from-scratch models. Other local outfits fit in this regard as well—like Puffs of Doom (those delicious mac-‘n’-cheese pastries will stay with you forever) or the fantastic summer floral aromas of urban farming initiatives like Bike a Bee’s honey harvests. Inside, Baker Miller is a cozy café of blonde wood, with rows of white picture frames in a line eye-level around the room and tables of hungry visitors. Their breakfast-and-lunch-only menu offers popovers, muffins, cookie and “sweet-hand pies.” There’s also a “toast bar” option that comes with homemade jams, and, for just a-buck-and-a-half extra, whipped chevre. A lunch menu offers a house chicken pot pie, a heritage capon chicken leg dressed with wheat berries and farmer’s market vegetables, and a grain bowl for vegetarians, with preserved tomatoes and greens. 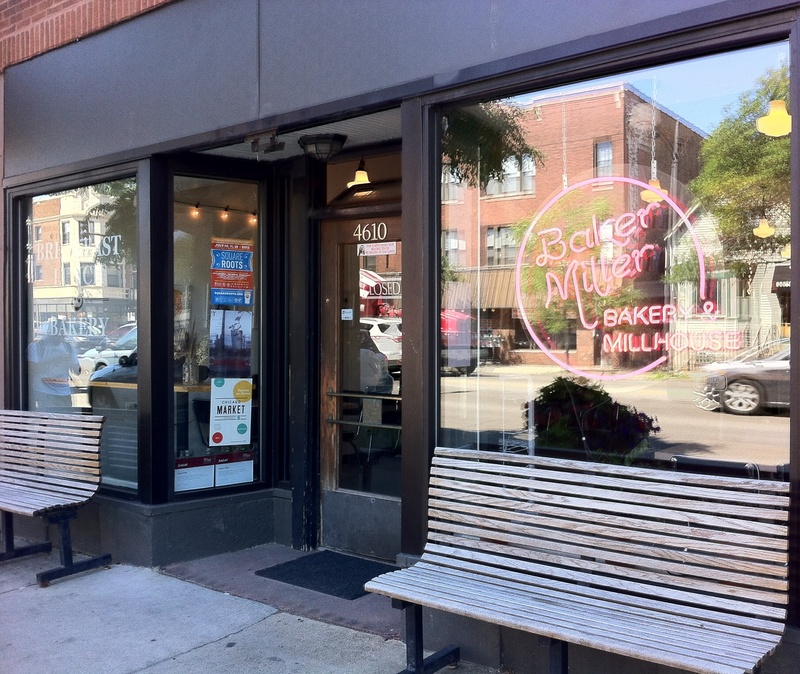 Ultimately, what separates an effort like the aptly named Baker Miller is the hyper-artisanal nature of its localized, neighborhood-centric—and simultaneously non-exuberant—high-quality production. Baker Miller is literally milling the flour on-site; it provides the equivalent craftsmanship of an Alliance Bakery, on a different order of baked good. You hardly get any fresher or hyper-local than this, unless they were to start growing the wheat in a field behind the building. Flour from Baker Miller may also be purchased online and shipped, with varieties ranging from organic oat baby cereals, whole wheat, bread and red pastry flours, stone-cut oats, and stone-ground rainbow corn grits, all falling, roughly, in the $12 range. Expertly stitched, the appropriated fabrics provide grip and stylishness, and dress up the mundane in a way that elevates these thoughtfully chosen objects beyond their usual, mere utilitarian purpose. 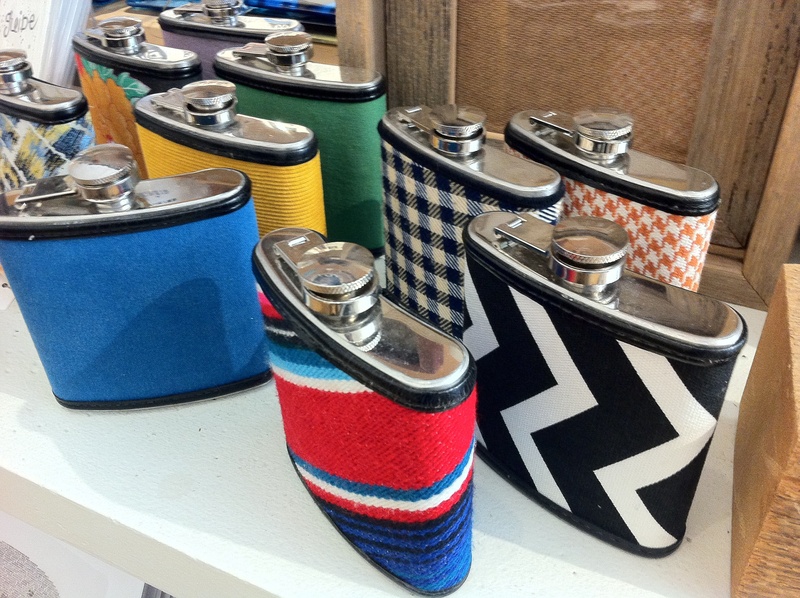 Coming in a colorful, fun array of designs including pink and powder blue floral designs and the aforementioned plaid, the six-ounce-standard fabric-covered flasks are sure to dress up your tippling. 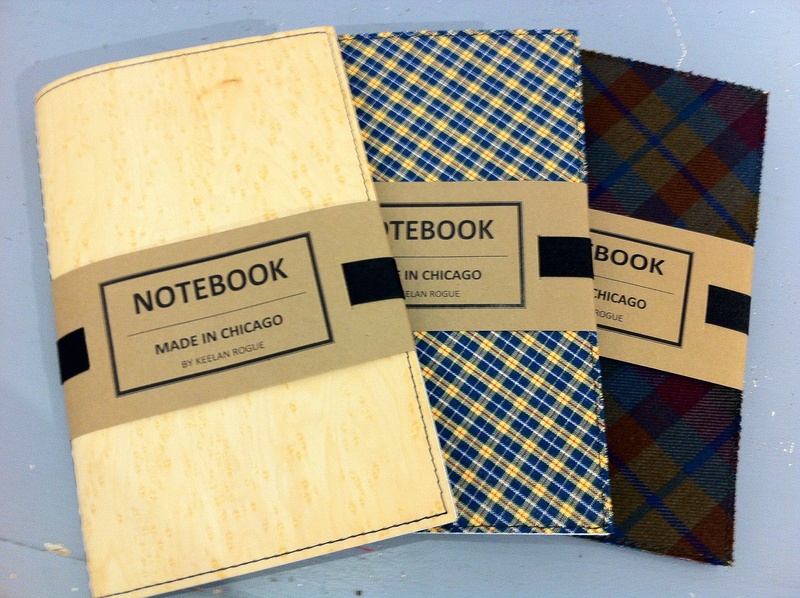 Complete the ensemble with one of Rogue’s fabric-covered notebooks and you’re ready for an afternoon of stylish, poetry-scribbling park-bumming that Oscar Wilde will no doubt smile down upon approvingly. Also in the awesomesauce-maker discovery department this week are “Build Your Own Chicago” postcards from Chicago native Matt Bergstrom’s Wurlington Brothers Press (wurlington-bros.com). These impressive miniature-scale models include reproductions of the Picasso sculpture, Wrigley and John Hancock buildings and Water Tower. They are all no taller than a coffee mug when assembled, with each of the punch-out pieces fitting onto the flat surface of a single postcard. Brilliantly designed and a charming gift, they come at the affordable to all price of $2 each. There are also sets of postcards of New York, San Francisco and Washington, D.C., as well as sets of View-Master reels on subjects like Route 66 in Chicago, Chicago hotdog stands and, my personal favorite, the motels of Lincoln Avenue. A real, kid-pleasing steal and a delightfully simple gift you can drop in the mail for a few bucks and the price of a stamp.